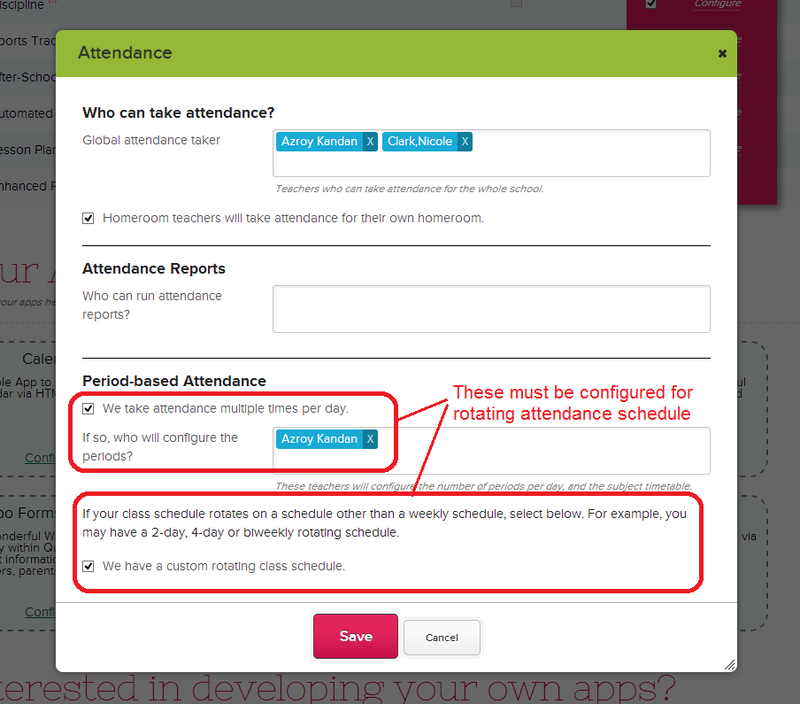 You can set up different attendance schedules for each grade, but by and large, most likely affected grade levels would be on the same rotating schedule. You’ll need to define the number of days in your rotating schedule, and then label each day so you can easily reference the schedule by day. 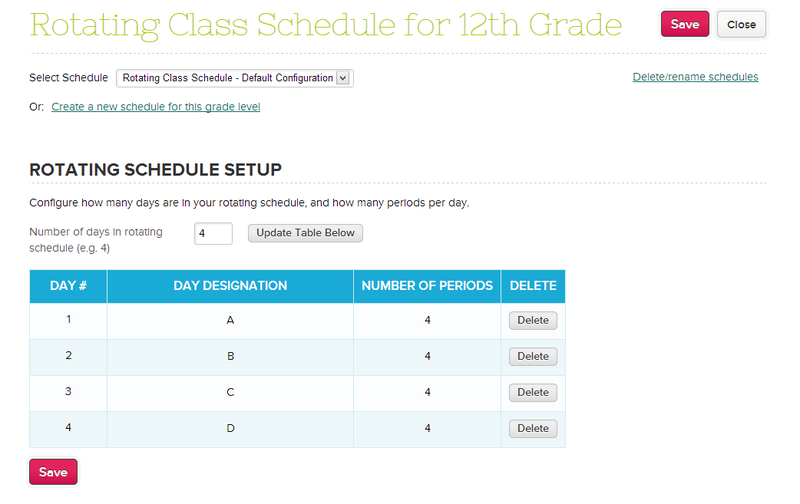 Finally, you’ll need to configure both the subjects as well as the attendance calendar. 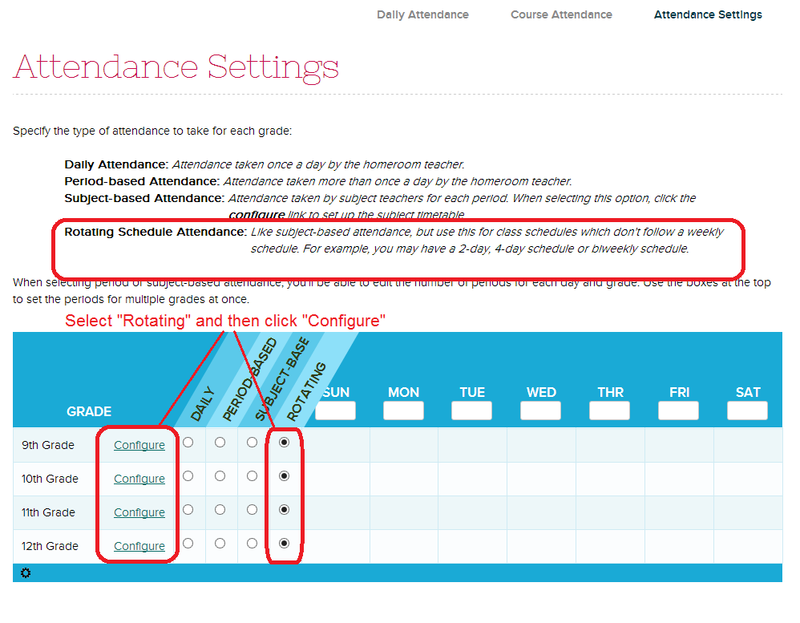 Configuring subjects works exactly the same as regular Subject-Based Attendance, and should be fairly straight forward. 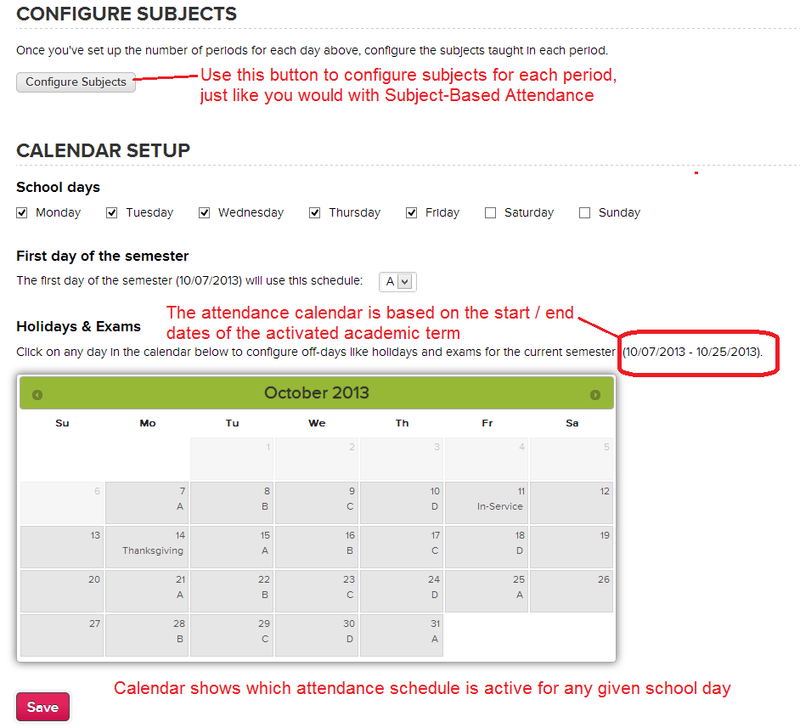 When configuring the Calendar, you can define school days based on the activated academic term. Just click on a date on the calendar to set a holiday or non-school day. Once you save, everything should work just like subject-based attendance. Let us know how it works!